She will be lighting up the world in the Rival Alice Toddler Girls One Piece! This neon-inspired look is midnight black with glowing fluorescent pink hearts, prickly emerald cacti, cute rose and green cherries, along with snowy white clouds! With magenta strap accents and ruffles, along with a snow white Rival logo at the front and centre, this look has it all! It’s more than just bright lights and the buzz of neon signs! 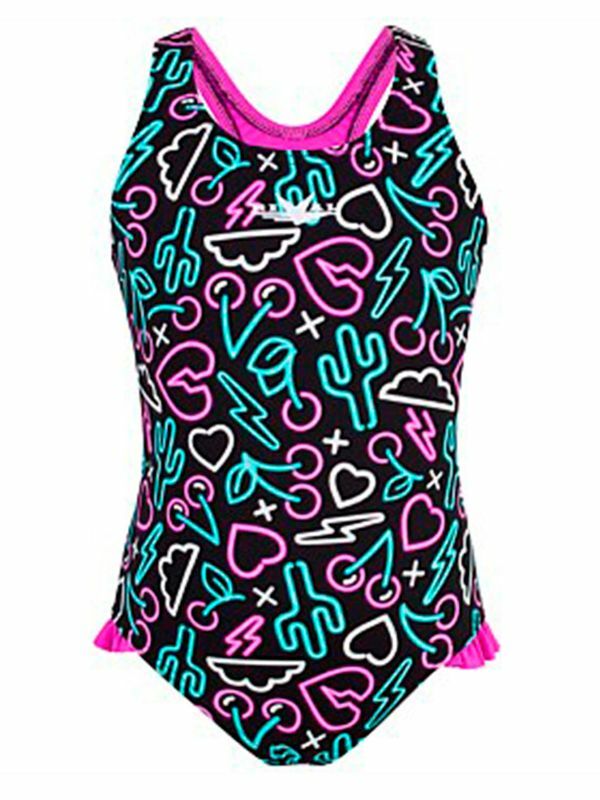 The Rival Alice Toddler Girls One Piece will have her shining in one-of-a-kind Rival Resist chlorine resistant fabric. Thanks to its top-notch construction, your little lady will be flying through the water at top speeds.